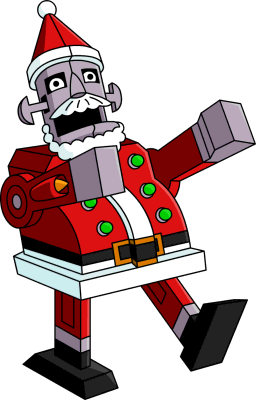 Should I Spend Donuts on the Returning Claus Co, Annual Gift Man or Portal to Rigel 7? 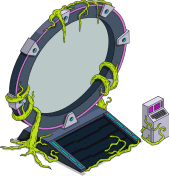 This entry was posted in Buildings, Donuts, Tips and Tricks, Updates and tagged Rigellian Christmas, Should I Buy Annual gift Man, Should I Buy Claus Co, Should I Buy Portal to Rigel 7, Tapped Out Christmas Event, Tapped Out Kang and Kodos Christmas, Tapped Out Tips and Tricks, The Simpsons Tapped Out, TSTO Addicts, TSTO Alien Invasion Event, TSTO Christmas 2017, TSTO Tips and Tricks, TSTO Winter Event 2017, what does the animal shelter do?, What Does the Workshop Bell Do?. Bookmark the permalink. Is the Portal to Rigel 7 needed to store Kang when you want him to stop a task? I had Claus Co since it first appeared in 2013 and then stored it because I could not create a design for it, a few weeks ago I brought it out of storage and decided to add it with another skyscraper building (the Royal Tokyo) going along the mountains. I also want to have other skyscraper buildings to add with these two, so does anyone know of any other skyscraper buildings that have been available? Thanks for listing some other buildings that are skyscrapers, I was thinking of another building that matches or has similar dark colours to CC (Claus Co) and RT (Royal Tokyo) but I did remember that I had King Homer’s Skyscraper in the storage so that could work with these two. I have also been planning on redesigning my area in the Springfield Heights and have another skyscraper area in there using the Superior Squad HQ, Marketing Agency and maybe some Business Centres up against the mountains. I really like what you did with Tomorrow’s Costington’s and Tenta-Corp with the additions, I made a little area with Skyberdine, Mushroom Offices and regular Office Towers with Tenta-Corp in my future Springfield area a few months ago, I didn’t really consider Ziffcorp a skyscraper because it is too small so I made a little area for it with the Indoor Tennis Courts and the Ziffcorp Sign. Can you please do a should I buy about Radiant BS station? So there’s no boxing day sale in the game this year? We had a sale on content last year. We did? Pretty sure if we did it wasn’t because of boxing day. Remeber is an American game based on an American family… when was the last time you saw The Simpsons celebrate boxing day? It’s the same in my game. ClausCo is 60 donuts after a 30 donut rebate and Annual Gift Man has no rebate attached. Did homer say to Dr. Hibbert “because of African Americans likely (New England patriots) style success in our country is why people hate you”? WOW!! Tapped out/simpson writers got some politicly incorrect nads. I’ll keep tapping and laughing cuz I’m an addicted whale. Kwanzaa Dr. Hibbert: O.K., Homer, you stuck with it enough to learn the most important principle of all – “imani”, or faith. Homer: Like faith that the New England Patriots will always win no matter how far down they are at halftime? Kwanzaa Dr. Hibbert: Well, kind of. It means faith that we African-Americans will be able to survive and thrive in American society. Kwanzaa Dr. Hibbert: In your analogy, we’re the Patriots. Homer: That explains why most of America hates you. Dr. Hibbert, I’m glad you taught me about Kwanzaa. What can I do for you? Kwanzaa Dr. Hibbert: Just once, don’t electrocute yourself on your own Christmas lights. That is not what was said. I don’t know if you’re purposely misquoting and misinterpreting the dialogue to cause trouble or what. Kwanzaa Dr Hibbert : O.K., Homer, you stuck with it enough to learn the most important principle of all – “imani”, or faith. Homer : Like faith that the New England Patriots will always win no matter how far down they are at halftime? Kwanzaa Dr Hibbert : Well, kind of. It means faith that we African-Americans will be able to survive and thrive in American society. Kwanzaa Dr Hibbert : In your analogy, we’re the Patriots. Homer : That explains why most of America hates you. Dr. Hibbert, I’m glad you taught me about Kwanzaa. What can I do for you? Kwanzaa Dr Hibbert : Just once, don’t electrocute yourself on your own Christmas lights. Good morning everyone thank you Alissa and company for all you do for us . I hope everyone had a great Christmas.